The Viscomat and the ViscLab software is designed to work with a balance connected to the system. 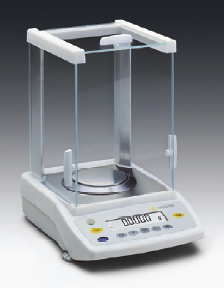 T he standard balance we supply for the Viscomat is a Sartorius ED124S. This is a modern, fast, and robust balance with RS232 serial interface, internal calibration, 0.1 mg resolution and up to 120 g capacity. The Sartorius ED224S has the same features except that the capacity is extended to 220 g.
Please contact us if a balance with more advanced features (higher readability, automatic door, temperature controlled automatic calibration, EC type approval, etc.) is required. Note: When ordering a balance together with the Viscomat II, we deliver a completely tested solution, reducing the requirements for the installation. A 1.5 m Sartorius standard RS-232 serial cable is required to connect the balance to the computer and ViscLab. When ordering a balance through Lagge, this cable is always included. The cable 1.5 m can also be ordered as a separate item. This cable can be ordered in lengths up to 20 m. Please contact us for more information.